In just two weeks, most families will be relaxing and enjoying the Thanksgiving holiday – while others will already be at the stores for the best pre-Black Friday deals. In a retailer’s world, Black Friday is the official kick-off to holiday shopping. The Black Friday of yesterday – where throngs of shoppers gathered in the early morning hour, waiting for retail doors to open – has evolved to where some retailers start promoting Black Friday as early as October. Others plan to open their doors earlier, stay open longer and provide perks for customers like free shipping on the day after Thanksgiving. Walmart is already advertising a full service holiday shopping experience surrounding Black Friday, offering various programs to help customers get everything they need while staying within their budget, including Early Access, Pre-Black Friday, Online Specials, Black Friday, and their Christmas Ad Match program. Black Friday has already begun for Amazon, with their Countdown to Black Friday Deals Week. The Black Friday 2016 page on Amazon’s website features the heavily discounted deals that cannot wait until the day after Thanksgiving. Best Buy does a great job of hyping their “deeply discounted Black Friday deals” on the latest in technology. They have a page on their website that not only explains what and when Black Friday is, but they also have a library of videos that feature stories of loyal customers preparing for and experiencing this important shopping day. Even with all of this preparation for what is hailed as the biggest shopping day of the year, it has not gone unnoticed by retailers or consumers that Black Friday has lost a bit of its luster. The National Retail Federation says around 136 million people will be shopping Thanksgiving weekend, with a sizable number participating in Black Friday sales. Yet, the decrease in Black Friday sales is becoming more obvious. Black Friday – Fading out? Consumer behaviors are shifting as shoppers become more comfortable with making their purchases online. Shopping has become mobile, which brings up a valid question – has Black Friday peaked? In 2012, Black Friday sales surpassed $59 billion, but in 2013 and 2014, both the number of people who shopped in store and the average amount of spending decreased. The trend continued in 2015, as net sales in stores dropped 1.6% compared to 2014. Foot traffic also took a dip, dropping 1.8% in 2015 vs. the previous year, and 16% in 2014 as compared to 2013. 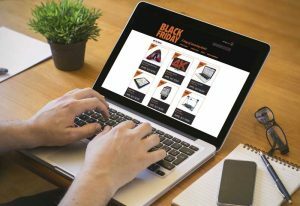 The numbers surrounding Black Friday participation have gone down as the number of people shopping online continue to rise. According to IBM, in 2015, one-third of all online sales were completed on a mobile device. And this shift in how consumers shop could be part of the reason that many retail stores are not opening on Thanksgiving and even some, like REI, are not opening on Black Friday. There are other days of the holiday shopping season that have proved to be important. “Super Saturday,” the last Saturday before Christmas, was the top shopping day in 2015. With Christmas falling on a Sunday this year, the Friday before could potentially surpass both Black Friday and Super Saturday in consumer sales, according to NRF. The most significant day to put a dent in Black Friday’s success is Cyber Monday. This year, Cyber Monday will match or beat Black Friday, as 40% of Americans say they will shop online that Monday versus the 39% who say they will head to the stores for Black Friday. Cyber Monday sales are not just happening from a consumer’s laptop. In fact, nearly two in five shoppers say they will make purchases with their smart phones. This trend, mostly driven by today’s millennial shopper, has companies like PayPal surveying these statistics. PayPal’s recent survey on the holiday shopping season indicates that 40% of millennials will shop on mobile. Whether in-store or online, the good news is that The National Retail Federation is forecasting an overall pick-up in holiday spending this year, estimating a 3.7% increase to $630.5 billion, compared to last year’s 4.1% growth. While it trails Cyber Monday, Black Friday continues to be relevant and revenue from online sales continues to grow, increasing from $1.39 billion in 2012 to a projected $3.05 billion this year, according to Adobe Digital Insights. No matter how consumers choose to shop, we can’t expect to get through the holiday shopping season without worrying about fraud. In 2014 and 2015, the vulnerabilities of retail point of sale systems were exposed through several high-profile data breaches. These breaches have cost companies hundreds of millions of dollars and rocked consumer confidence. In a large percentage of breach cases, malware was the culprit, infiltrating the retail system and stealing clear-text cardholder data to be later sold on the black market. In 2015, alone, there were 781 recorded data breaches involving more than 169 million consumer records. Large and small corporations fell victim to fraudsters who infiltrated merchant systems and stole clear-text cardholder data. Now more than ever, all merchants need security solutions that secure credit card data from fraud. Bluefin’ provides retailers and chains a full suite of PCI-validated Point-to-Point Encryption (P2PE) products that encrypt cardholder data at the point of entry, rendering the data useless to fraudsters. P2PE is part of an integral security strategy that includes both EMV and tokenization. Learn more about how Bluefin’s P2PE solutions can protect your business and ensure a prosperous holiday shopping season.